Natural History Museum This is our favourite museum by far, so much so that we now purchase a yearly family membership and it is most definitely worth it. While the museum itself is actually free, there is a charge for admission to special events and exhibitions. Membership gives free entry to all exhibitions (including the butterflies), priority access to the Dinosaur gallery and the museum itself (seriously, the membership is worth it just for this), and much more. The highlight of every visit for us is obviously the Dinosaur gallery. However, I also particularly recommend the Red Zone (yes, all of it, even if it’s just for the amazing view of the stegosaurus at the entrance, and the impressive escalator ride through a sculpture of the earth), the Human Biology gallery and the Creepy Crawlies gallery. *Top toddler tip* There are often special puppet show performances on various days during the school holidays; aimed at the under 5’s, these incorporate some sort of teaching aspect into a very entertaining show. Previous shows that we have seen have included the Hungry Caterpillar, the Frog Prince, the Three Billy Goats Gruff, and Jackie and the Beanstalk (yes, Jackie, not Jack, as A kept having to remind the presenter. Poor woman). These shows are free, but tickets are limited and must be booked at the front desk on arrival. Usually there are two showings per day, at 12.00 and 13.30. We find it just adds a little something extra to the day, and also gives the grown-ups a 30 minute rest! Discover Children’s Story Centre Ok I admit, I watched THAT episode of Something Special where Justin visits Seven Stories (the National Centre for Children’s Books) in Newcastle and decided that it was the most amazing place in the world and I had to find somewhere similar right there and then that was slightly more accessible for a day trip from Chislehurst (incidentally, we have since visited Seven Stories and it really did live up to expectations. More on that another time). I was so happy to find that London did have a similar offering, in the form of the Discover Children’s Story Centre. Based in Stratford, it is a bit of a trek from Chislehurst by public transport. There is also a charge for entry, and all over 2’s must be paid for; therefore, it isn’t a really cheap day out, but it is definitely worth a visit. The aim of Discover is to “spark children and adults’ imagination, curiosity and creativity in a magical and simulating environment”, and “is a place where children and their families can enjoy playing, learning and making up stories together.”1 It consists of three separate zones: a large indoor story trail, an outdoor play area, and a special exhibition space that changes on an approximately annual basis. It is currently closed for a major refurbishment, but will be reopening in July with an exhibition on “The Fantastic World of Dr. Seuss” and I am so excited! *Top toddler tip* Entrance to the temporary exhibition is restricted to timed slots, and these slots are very limited Monday to Thursday (there are many more sessions Friday to Sunday, though these days are much busier). Therefore, pre-booking is advised. Also, although there is an on-site café, the selection is very limited (or at least it was on our last visit), and there is really no alternative eatery in the local area that is suitable for toddlers unless you fancy venturing back to Stratford Westfield. However, the café is currently undergoing a refurbishment and therefore I am hoping that it will be greatly improved by our next visit. It is probably best to be prepared though, just in case (or at least, be more prepared than we were; to be fair, that would not be difficult). V&A Museum of Childhood This is a perfect museum for toddlers, and in fact, during the week in term-time toddlers basically rule the roost. I find that there is more tailored specifically to the pre‑school age group here than in any of the other museums in London. As well as the collections themselves, there are also free drop-in activities every day during term-time, including sensory storytelling, and arts and crafts. During the school holidays additional special events are put on for older children also. Despite being fairly out of the way in location (Bethnal Green), it is a very popular museum, and gets particularly busy on weekends and during school holidays. Therefore, if you are able to, I would recommend visiting during school-time with toddlers! The museum itself “houses the UK’s national collection of childhood objects, ranging in date from the 1600s to the present day.”2 There are lots of hands-on areas, as well as plenty of toys scattered around for children to play with. There are so many wonderful things going on in this museum that I can’t possibly do it justice by describing it here, so do take a look at the website. My only negative comment would be that seeing toys that I played with as a child in an actual museum is very strange indeed! *Top toddler tip* The museum has a selection of family packs for under 5’s, available to borrow free of charge (you just need to leave a form of ID, e.g. passport of driving license, in order to take one). I recommend getting there early to make sure you get your hands on one though! These packs are designed by Montessori, and each contains a map, activity suggestions, storybooks and a selection of toys to play with, simply giving the children a range of extra items to help them delve into specific galleries. Museum of London Docklands This is a museum which tells the history of the River Thames and the growth of the Docklands, and if I am completely honest, I prefer this museum to the Museum of London itself. Although more out of the way (in London Docklands, in case you hadn’t already guessed), I believe it does have more to offer toddlers. In particular, it has a whole gallery purely for this age group (“Mudlarks”). “Mudlarks is an interactive space for under 8’s, along with their parents and carers, which introduces the stories told within the museum in a fun and stimulating environment designed to support children’s learning and development. Try cargo loading in Tip the Clipper, explore the Victorian docks in Docklands Playtime or become a builder in the building role-play area using giant bricks and wheelbarrows.”3 Although this gallery is free, tickets must be booked, and only timed slots are available. You can either book tickets online (this is a great improvement as last time we went this was not an option and we did risk travelling all the way there and failing to get in). Alternatively, if you are prepared to risk it, you can still pick up any remaining tickets on the door when you get there. There are also backpacks to borrow from the front desk filled with games, toys and puzzles to help children focus on the galleries in their own way. *Top toddler tip* Every Thursday there is a storytelling session for toddlers and carers which uses puppets, museum objects and music. Again, all attendees must have a ticket that can be picked up on arrival. Transport Museum This is one of only two museums on my list that actually costs money to enter, and at £17 per adult (£14.50 concessions) it is a fairly hefty fee; however, you do save a little if you book online in advance, the ticket does include unlimited entry to all galleries and exhibitions for a whole year, under 17’s are free, and because of the cost it doesn’t seem to get quite as crowded as many of the free museums do. The use of the cloakroom is also included in the ticket price which is a huge bonus, and, along with a free buggy park, makes for a very comfortable visit. This is the easiest museum for me to access personally, being based in Covent Garden and therefore only a short walk from London Charing Cross (and any day out in London that does not require the use of the Tube is a winner for me)! The galleries are full of interactive exhibits for both adults and children to enjoy. It is possible to climb onto a lot of the vehicles on display, as well as have a go at driving a tube train and a bus. There is also a stamper trail to help children follow the story told in the displays. One of the highlights for A and E is the “All Aboard” family play zone which is located over two levels of the museum. This offers under 7’s an opportunity to dress up and play on a tube train, a bus, a boat, and a taxi. There is also a small soft-play area dedicated to babies. During the school holidays special events and activities are also run, including creative activities which take a different theme each holiday. *Top toddler tip* There is a toddler-sized toilet and sink; A does think that this is the most amazing thing ever which means we do spend a lot of time visiting it when we are there. I have even had to leave the upstairs café on a number of occasions, re-enter the museum via the queue at the entrance, and re-show my ticket (and ID) so that she can use it, as the café toilet is the WRONG SIZE. Ok, this is possibly not the best, or indeed the most exciting, tip in the world, but it is perhaps better to know this in advance so that you can avoid it if you need to… (especially if your children are like mine, i.e., a bit weird). Horniman Museum We haven’t actually visited the Horniman Museum for a while as getting there by public transport is quite a feat from our house (considering it is actually only 7 miles away, and in fact our closest museum, it is an impressive 90 minute journey in each direction, involving a train, two buses, and a walk up a very steep hill). That said we really should visit more often as it is great, but perhaps with a car instead. The museum itself is actually free, but, as with most free museums, there is a charge for the exhibitions (there is also a small charge for the aquarium). Incidentally, the current exhibition is “Dinosaurs: Monster Families” and I know a little boy who would love this very much so we really must try and go! If you simply wanted a free visit, there are many galleries to explore, including a Music Gallery, and a Natural History Gallery. There are also 16 acres of beautiful gardens, so a visit on a hot day in summer is a must! Again, as with most museums around these parts, there are many special workshops put on for children of all ages during the school holidays. *Top toddler tip* Before your visit, check out the website, and download these activity packs and trails to use in the Natural History Gallery. This list is by no means exhaustive. There are still many museums that we haven’t even tried yet (we are quite stuck in our ways and find it difficult venturing somewhere new with toddlers without the assurance that we will definitely have a good time! ), as well as many that we have tried but believe may be more suitable when the children are older. We really want to try the National Gallery, particularly as they run a class called “Welcome Wednesdays” on Wednesdays (obviously). This gives children a chance to experience art through interactive music, storytelling, and messy play activities. There are three sessions every Wednesday in term-time (10.30, 11.45 and 13.00). However, this needs to be booked in advance and I haven’t quite got round to being organised enough to actually plan a day out in advance so this hasn’t happened yet. I also haven’t visited the National Maritime Museum since their new specialist children’s area (the “AHOY! children’s gallery”) opened over a year ago now. This is also on my list of must-try places! I know that the Science Museum is an obvious choice, and would make a wonderful day out; however, the queues are always so long when we arrive in South Kensington that just hopping into the Natural History Museum with our queue jump pass is always the favourable option. We will get there though, hopefully this summer! And finally, I recently heard about the National Army Museum and it sounds absolutely amazing; they are currently undergoing a major refurbishment and have been closed for some time (which may be why it hasn’t crossed my radar until now); however, it will be reopening late this year and I can’t wait! So then, what have I missed? Ah, dont they look cute in their hats?! I love the Natural History Museum and the Dinosaurs too. I dont live in London, but its definitely somewhere to keep in mind for when we do take a trip down (our little one is only 7 months at the moment, but it will be nice when he is a bit older). What a comprehensive list! I’ve been thinking about a visit to the Natural History Museum for ages but wondered whether there would be enough to amuse my two year old, but it sounds great. I’ve never heard of the V&A Museum of Childhood either – I think that one has just shot to the top of my list as it sound perfect for toddlers. And I also have a soft spot for the Horniman – we used to live in East Dulwich so it was just on our doorstep and I have lots of happy memories of visits. I’d love to revisit and show everything to my son. Thanks so much for joining us at #SharingtheBlogLove! I really hope we’ll see you again next week! Hoping to visit London next year so it is great to get some ideas on what to do! I love that photo too, so adorable! I do too, and have only every ventured in to central London by myself once, in term-time, well away from rush hour! Thankfully my husband is a teacher so we get the holidays to visit together. The Natural History Museum is the best, you just need to time it right to beat the queues! I know I had never heard of it before children, but it is great – definitely one to try! I am always amazed at how good London’s museums are for kids, some are obviously better than others, but they make so much effort! We love Discover too! In fact my son has had two of his birthday parties there – they’re really good. The Horniman’s a regular haunt of ours, but it’s easy to get to from here. Shame it’s such a pain for you – isn’t London transport weird sometimes? 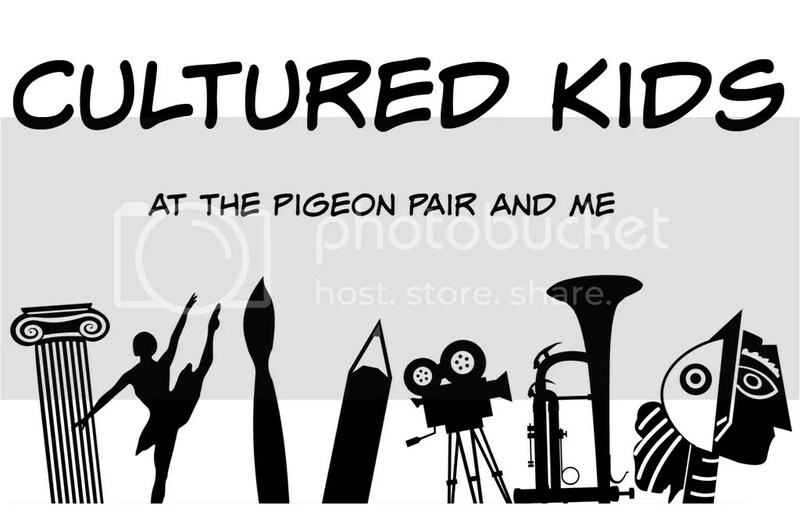 Thanks for joining in with #CulturedKids. This is exactly what I’ve been looking for. Thank you for sharing this list. You’re very welcome! London really is great for toddlers, if you know where to go! One thing I want to add to this list is a new museum called “the postal museum”, all about the postal service in London, with a big toddler play area. It’s not free but isn’t too expensive! I hope you have a great time!